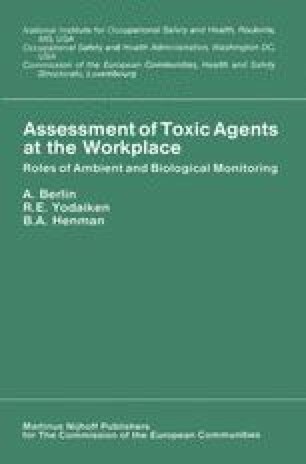 The purpose of this paper is to present a theoretical survey of the construction of an information system that includes data on occupational exposure to hazardous agents. To illustrate the theory, practical experience from the construction of an exposure register of lead workers is described. Finally, some of the results obtained with the “lead register” and some of the problems. that remain to be solved, for example coupling of measurements from ambient monitoring and from biological tests are discussed. What is not discussed in this connection, are the highly sensitive questions relating to confidentiality.